As you develop in human form, you go through stages in your life of interacting with self, others and establishing your identity. Ideally, this identity forms an individual that is strong yet flexible, as the beautiful duality pushes you inward and pulls you outward—though another must get pulled inward and pushed outward. The clues of life abound. What is really inward or outward? Here, family meets function and you find the power of your Light. Family is a grouping that agrees to hold the mirror close. Family agrees to shine light on the aspects that you are loving and not loving—aspects of your self and life. Your Family of Light helps you shine. The diamond is created from coal with pressure (support) and time. Once the diamond is formed, you shape it into facets that amplify its brilliance, bringing forth what was already within. 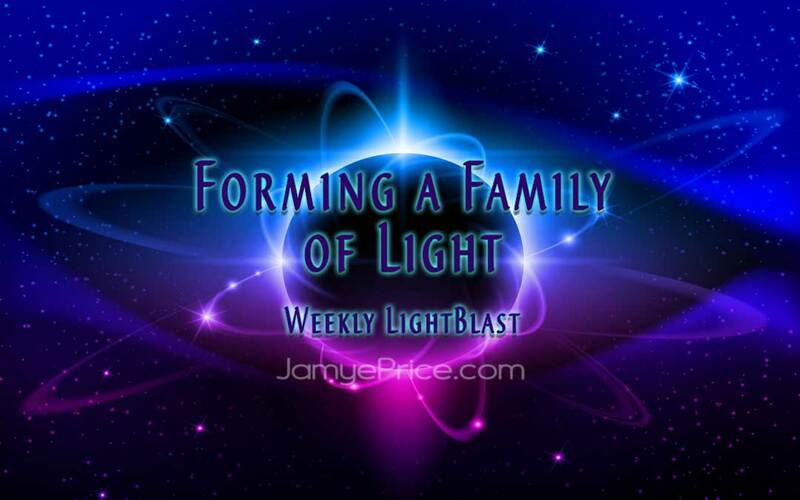 Your Family of Light helps shape you into many facets of self. Sometimes it feels like pressure as you resist release. Other times it feels like support as you feel nurtured into growth. Much like the seed, you are often surrounded by what seems like darkness, but it is actually the fertile support that helps you bloom into the Light. Family is all around you. As a child, you feel choiceless. As an adult, you are offered opportunity to create similar family dramas with new characters, or to respond differently to the same pressures that formed you into the jewel you are. Make choice to Form a Family of Light that supports you into empowerment. Create relationships in your inner realm and the external realm that help your brilliance shine. Your relationships on the inner plane will help you understand motivations, insecurities, fears, and new solutions for empowered Love. Your relationships on the outer plane will help you understand healthy boundaries, interaction, and the support of Life. Forming a Family of Light begins first with those of resonant qualities that support your empowerment. You then begin to recognize that you are involved with co-workers and others that are also calling you to shine. You start to feel your connection with those you will never meet, but are your Family of humanity. You will begin to have the strength to be open to their positive and negative aspects, creating a flow of supportive Love that was not available before.